Bang Said the Gun launches its poetry anthology, Mud Wrestling With Words, at the Roebuck (8pm, £7 / £5). John Mullan and Iain Sinclair explore the role the Thames in literature, with the Thames Festival (7.30pm, £7 / £5 + bf). Harry Eyres presents life advice from ancient poet Horace, at the Bloomsbury Institute (6.30pm, £10 + bf). 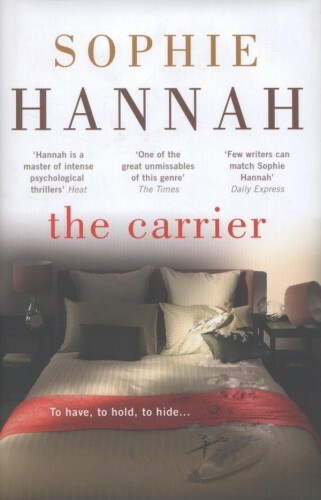 Sophie Hannah is at West End Lane Books, talking about her crime novel The Carrier (7pm, free). Jo Nesbo is signing copies of his latest Harry Hole series at Waterstones Leadenhall Market from 12.30pm, or head to the Coronet Cinema in Notting Hill where he's in conversation with Emma Kennedy (6pm, £10). Thomas Glave talks about human rights and oppression at Gay's the Word, plus poetry from Dorothea Smartt (7pm, £2). Historian Kate Cooper and novelist Sophie Hardach are at Waterstones Covent Garden discussing faith, love and narrative (6pm). Take your five minute story on the theme of 'revolutions' to the Southbank Centre and tell it at StorySLAM:Live – or just listen (7.45pm, £8). Shanta Acharya, Anthony Rudolf and Penelope Shuttle perform Poetry in the (Lauderdale) House (8pm, £5 / £3). Alex Wheatle chats to Mr Gee at Brixtongue, plus Gloria Thomas, K Brown and Rachel Long (7.30pm, £7 / £5). EP Rose launches The Conspiracy Kid at Waterstones Kensington (7pm). Catherine McNamara launches her new short story collection, Pelt & Other Stories, at the Big Green Bookshop (7pm, free). Take the kids to Brent Civic Centre for the launch of Rastamouse's new adventure, Da Micespace Mystery (5pm, free). Shy Yeti and guests mark Friday 13th and the changing season with a night of autumnal creepiness at the Poetry Cafe (7.30pm, £donation to charity). Poet in the City presents Fleur Adcock, Clare Pollard and Ahren Warner at the Kings Place Festival (2pm, £4.50). Lez Henry is at Housmans talking about the concept of 'whiteness' (6.30pm, free). The Alarmist launches issue 3 with The Antipoet, Chris Betts, Bobby Carroll and Andrew James Brown at The Social (8pm, £3). Lisa Kelly and Niall O'Sullivan join regulars Jeremy Sallon, Tom Bland, Errol McGlashan and Benedict Newbery for Platform 1 at the Poetry Cafe (8pm, £5 / £4). Young adult thriller novelist James Dawson is signing copies in Waterstones Sutton from 11am. The Hampstead and Highgate Literary Festival begins! Highlights include John Crace and Lucy Mangan, Dannie Abse, Deborah and Lottie Moggach, Judith Kerr and Mark Easton (tickets from £7). At the Kings Place Festival, Henry Hitchings talks about the English and their manners (2pm, £4.50) and hear Artemis Cooper on Patrick Leigh Fermor's Broken Road (4pm, £4.50). Steev Burgess, Anita Pati, Richard Scott and Fran Lock are the performers at Torriano Poets (7.30pm, £5 / £3). Adam Thirlwell hosts a conversation about translation between Julian Barnes, Ali Smith and Sandra Smith at the Royal Society of Literature (7pm, £8 / £5). The Hampstead and Highgate Literary Festival continues: too many events to mention them all, but we've picked out Esther Walker, Maggie O'Farrell, Susie Orbach and Lisa Appignanesi, and Sophie Hannah, Sabine Durrant and Christopher Fowler (tickets from £7). Laydeez Do Comics present Ginny and Penelope Skinner talking about their graphic novel, and Wallis Eates, at Foyles (6pm, free). Lee Child has a new Jack Reacher thriller out; get copies signed at Waterstones Leadenhall Market from 1.30pm. Celebrate Russian poetry and prose with The Cauldron, at the Hemingford Arms in Islington (7.30pm, £5). The Last Tuesday Society (confusingly on Monday) on Mare Street presents Dr. Paul Koudounaris on the subject of 16th century jewelled skeletons (7pm, £7). Deanna Rodger, Idil Sukan, Dudley Sutton, Sean Wai Keung, Tanya Loretta and Rik the Most perform at the Farrago Freshers' SLAM! at the RADA Foyer Bar (7.30pm, £6 / £5). The Hampstead and Highgate Literary Festival draws to a close, with choice events from John Harvey and Stella Duffy, Tracy Chevalier, Mark Billingham and Robert Ryan, and Artemis Cooper on Patrick Leigh Fermor (tickets from £7). Historian David Kynaston talks about the birth of modern Britain, at the Southbank Centre (7pm, £8). Dan Simpson hosts a head-to-head between poetry and stand up comedy, at the Comedy Cafe in Shoreditch (7.30pm, £8 / £7). Find out about Chaucer and hear some Middle English verse from Graham Fawcett and Sue Aldred at Made in Greenwich (7pm, £10). Chris Redmond hosts Tongue Fu at London Wonderground, with guests Murray Lachlan Young, Jan Blake, Rob Broderick (of Abandoman) and Zena Edwards (9.15pm, £12.50). Judith Mackrell is talking about flappers at Drink, Shop, Do for the Pamflet Salon (7pm, £11). Rob Evans discusses undercover policing, at Housmans (7pm, £3). Poets from Brighton and Barnes go head to head in Stanza Bonanza at the Poetry Cafe (7.30pm, free). Your early warning klaxon for three events likely to sell out: Alexander McCall Smith at Daunt Books Marylebone on 8 October (7pm, £8); Douglas Coupland at the Shaw Theatre also on 8 October (7pm, £10 / £20 including copy of Worst. Person. Ever. ); and Malcolm Gladwell at the Lyceum Theatre on 28 October (6.15pm, £8-£60).